Studies show there is one thing you can do for your children that will increase their overall brain functioning capabilities, improve cognitive and creative skills, raise their self-esteem levels, and set foundations for co-operative, balanced relationships. 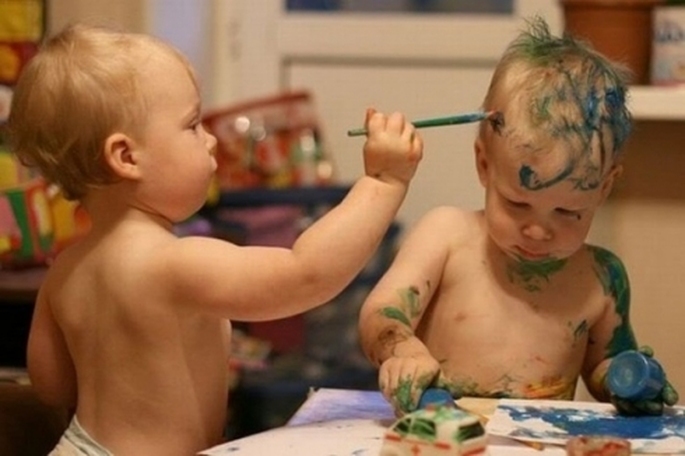 Sign them up for art class! The exposure to art does not have to come in the formal setting of a classroom. Whether your child takes music lessons, is involved in a drama club, or is creating the most amazing sidewalk chalk art on the block, the time spent in art-related activities is invaluable! Art Shed Brisbane's Manny Petravakis. Nurturing your children’s creativity will help them become adults with a more balanced and well-rounded education, and with the ability to better adapt to changes in their world. _ So says Manuel Petravakis, aka "Dr Manny", the director of the Art Shed Brisbane in Brisbane's West End. "All people are born creative. Children create unselfconsciously and all kids love art," he says. Manny and wife Meg are well known and liked in Brisbane for their years of commitment to creating and encouraging a community around art and their imaginative and generous approach to building their presence in the market. The Art Shed Brisbane runs regular in-store art classes, special events and popular holiday activities for kids. Manny believes that encouraging creativity among children involves problem solving in a playful and “out of the box” manner. "Children create unselfconsciously and all kids love art"
"While this sounds like too much fun to be serious, increasingly, leaders in education and politics, such as Daniel Pink, who is an author and former White House adviser, are admitting that “Creativity will be the currency of the future”. "Many people can get a degree. What will set tomorrow’s leaders and winners apart, they argue, will be their ability to think creatively- to find solutions to issues in unexpected and unrelated fields. This starts early. Playing with line and colour and clay and dough. Cutting out shapes and making believe. Thinking up and idea and finding the way to make it work. "Often, it's the materials of art that drive the creativity. Give your children the inspiration to be creative. Give them the enjoyment, and at the same time ... the edge!" Visit Art Shed Brisbane, for a huge range of kid’s art materials and details of their holiday art programmes.